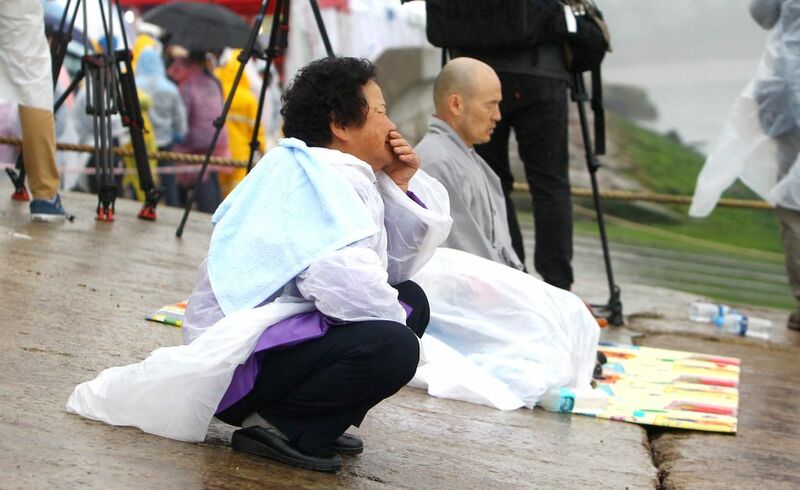 JINDO, April 18, 2014 - A relative of missing passengers aboard the sunken vessel "Sewol" prays in Jindo, South Korea, April 18, 2014. 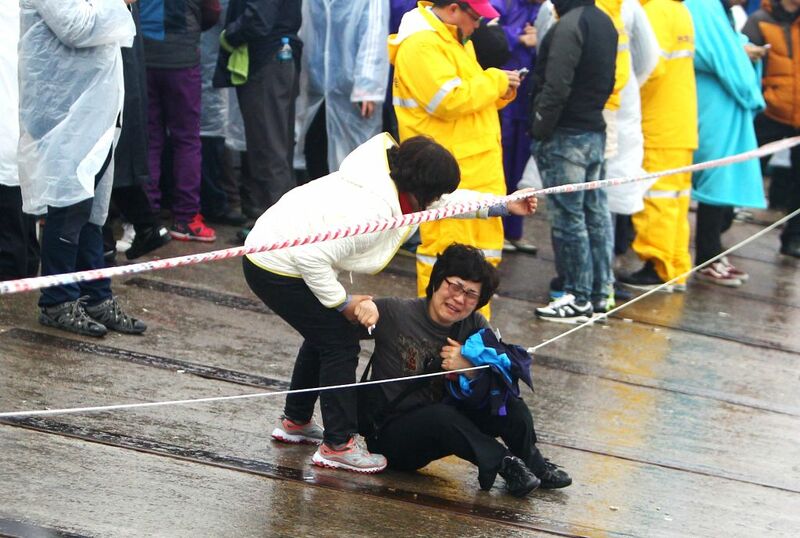 South Korean coast guard and navy divers succeeded Friday in entering into the hull of a sunken ferry, two days after the ship carrying 475 people, mostly high school students, capsized off the country's southwestern coast. 28 people confirmed dead and 268 others still missing. The number of the rescued remained unchanged at 179. 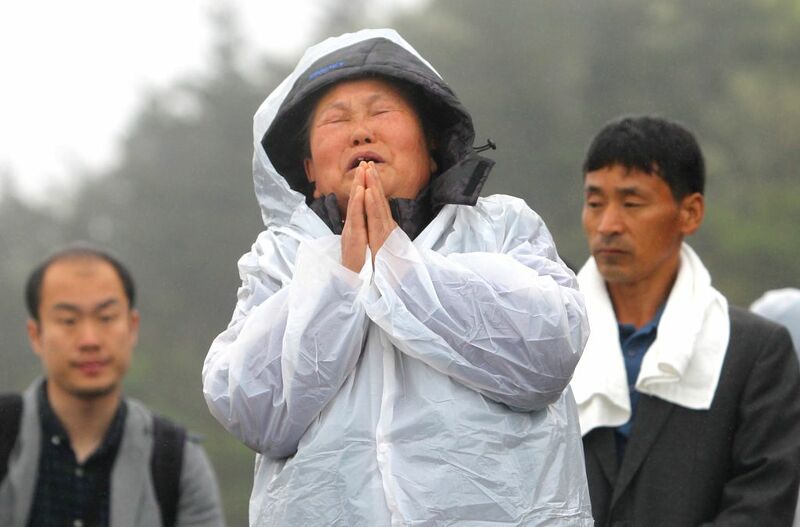 A relative of missing passengers aboard the sunken vessel "Sewol" waits for rescue news in Jindo, South Korea, April 18, 2014.